For questions concerning our research, United Brains will help you contact the right expert. 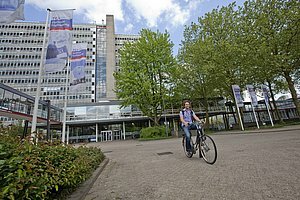 Interested in working at TU/e? Please check our job openingsor mail to jobs@tue.nl. Our press officers are happy to help. Individual employees can be found here employees. Other questions? Please call the front desk of the faculty, tel. (040) 247 7000. Eindhoven University of Technology (TU/e), Department of Electrical Engineering, Building: Flux, Groene Loper 19, 5612 AP Eindhoven. All contact information, directions and campus may be found here >>.